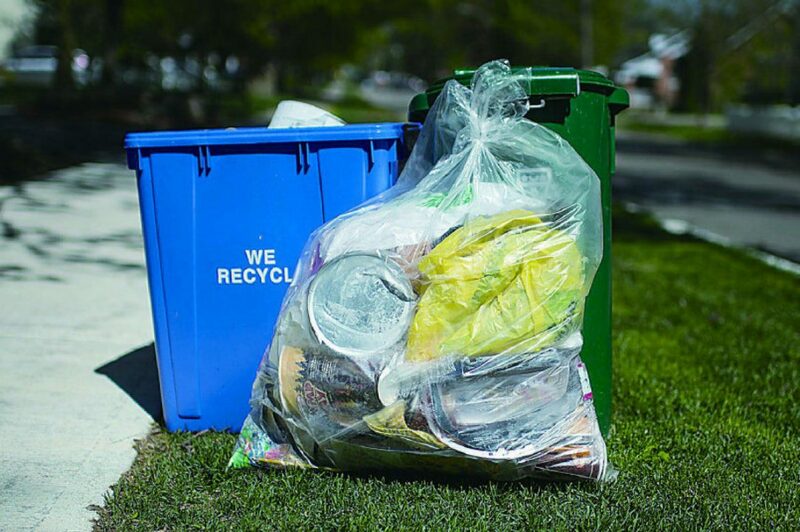 Report to be released Friday notes there is a higher waste diversion rate in Toronto’s east end, where city workers do curbside collection. An environmental group is urging Toronto council to trash any thoughts of contracting out garbage collection in Scarborough. In a report to be released Friday, Toronto Environmental Alliance notes that diversion of waste from landfill to recycling streams has been higher in the east half of Toronto, where city workers still pick up trash, than in the west end, where two private companies have collection contracts. “Scarborough has the highest waste-diversion rate in Toronto and it’s four per cent higher than Etobicoke,” the report states. “As Toronto’s landfill is reaching capacity and garbage fees are increasing, we know that now, more than ever, diversion rates must go up. In Etobicoke, where garbage was contracted out in 1995, diversion rates between 2013 and 2015 ranged from 57 to 59 per cent, according to city figures. In Scarborough, where city workers fill the trucks, the rates were 62 to 63 per cent. The city has a multi-pronged plan to try to reach 70-per-cent diversion city-wide. Diversion benefits the city both environmentally, by sending less trash to Green Lane landfill near London, Ont., and, financially, by extending the life of that landfill bought by the city of Toronto a decade ago for $220 million. Earlier this month Mayor John Tory, who promised in the 2014 election to expand private collection, vowed to convince council to get quotes on Scarborough collection to see if the private sector can do it cheaper and better. CUPE Local 416, representing city garbage collectors, could submit a competitive bid to keep the work, he added. “The market needs to be tested to see if the same service can be done for less . . . ,” Tory said then. Last week, the public works committee voted in favour of tendering out the work, setting up a showdown next week at city council, which has final say. Many councillors are balking at spending a half-million dollars on the procurement exercise, when the latest public data says that not only does public collection in Scarborough send more waste to recycling and compost, it is cheaper per household than in Etobicoke. Based on 2014 figures, Etobicoke collection cost $142 per household compared to $126.89 in Scarborough. City staff, who are recommending a bid process, say the comparison is irrelevant because contractors are not paid per household, but per tonne of waste collected. But they say per-tonne costs must be kept confidential, so that, if council authorizes competitive bids, companies don’t simply try to undercut the current cost. Jim McKay, the city’s general manager of solid waste services, said Thursday diversion rates are mostly determined by what homeowners put in bins, with “very little correlation” to the type of collection service. Deputy Mayor Denzil Minnan-Wong, told about the TEA report by the Star, dismissed it. “The assertion that the public sector is still not diverting about 37 per cent of waste in Scarborough . . . that doesn’t merit any great award,” Minnan-Wong said. “We’ve got a diversion problem across the entire city and what they’re saying is a very weak and flimsy reason not to contract out. We need enforcement writ large across the board. He also questioned TEA’s impartiality, since CUPE’s national office makes annual donations to the agency. TEA executive director Franz Hartmann scoffed at that, saying the union money amounts to less than 2 per cent of TEA’s total budget. “Read the report and debate me on the merits of the report!” he said. Patrick Dovigi, chief executive of Green for Life, the company that does curbside collection between the Humber River and Yonge St., questioned the diversion argument and said GFL plans to bid on any Scarborough tender.